these trousers earned top marks, not only from me, but also from everyone in my life who takes notice of what i wear. 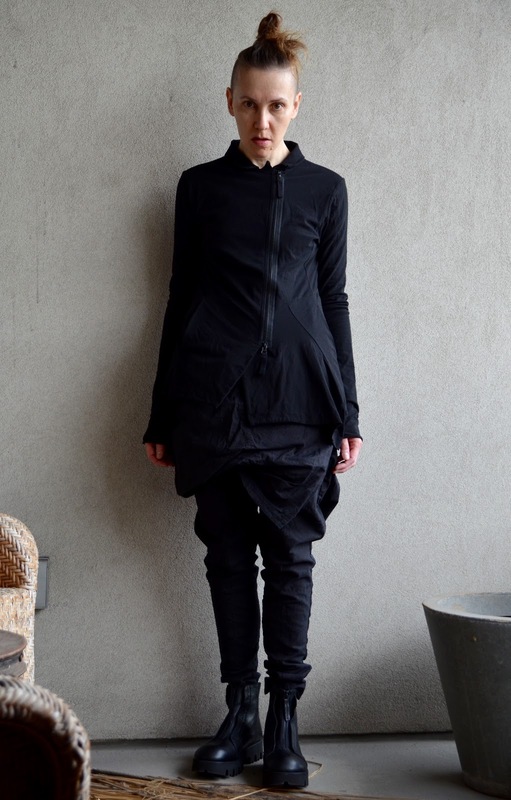 i am wearing rundholz black label a/w 2016 (top, jacket, trousers and shoes). I so love to stop by and see you in your beautiful clothing. Thank you for taking time to share. You help me pull outfits together! thanks, karen. there is extra fabric at the top of the trousers. the effect is like wearing a micro-mini bubble skirt over trousers. 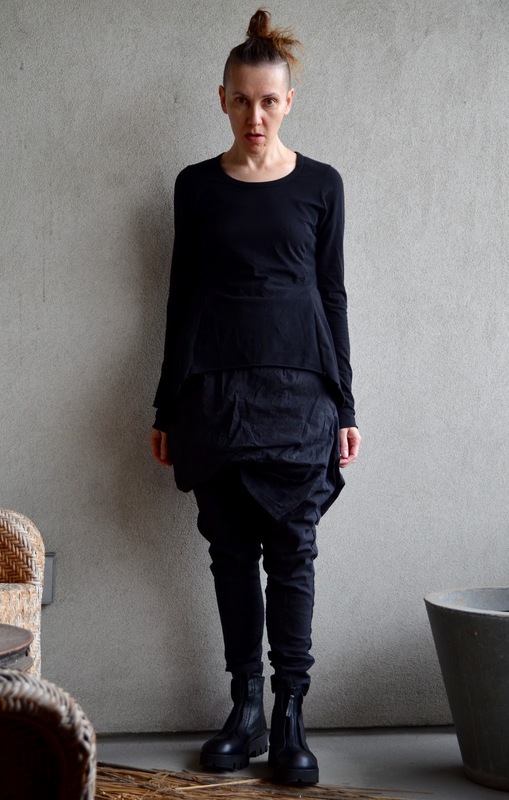 these trousers are, by far, my favourite piece from the rundholz black label new a/w collection ... so far!